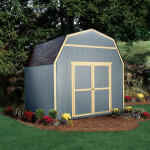 The gorgeous barn-style shed features 6' tall side walls and a peak height of 10'. The Verona is protected by LP® siding, 25-year asphalt shingles and a 2-year warranty. 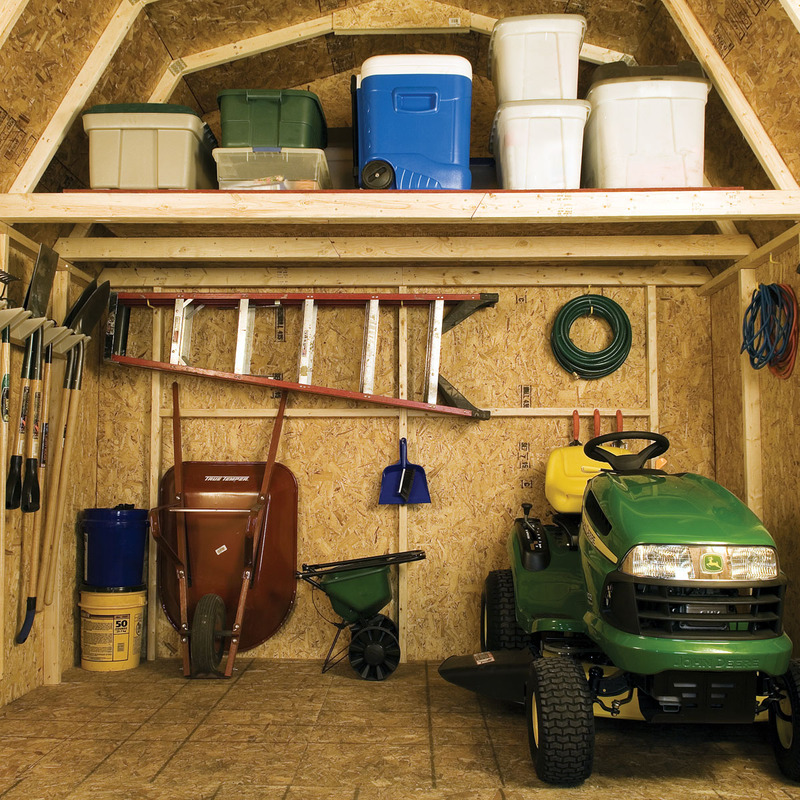 Storage loft provides over 40% additional storage space. 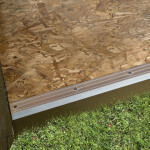 Wide 64" double door opening accommodates lawn tractors, mowers, snow blowers, wheelbarrows & much more. Double doors rest on continuous piano hinges to prevent door sagging. 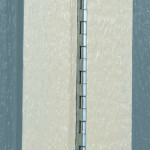 Entryway is protected by an aluminum threshold. Includes swivel hasp lock to keep your items inside secure. 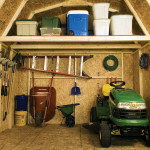 Consider accessorizing your shed to make it your own workshop or backyard getaway. This charming barn-style shed, complete with a handy loft, gives you tons of storage space – providing room for all your yard and garden accessories; from ladders and wheel barrows to ride-on mowers and power tools. 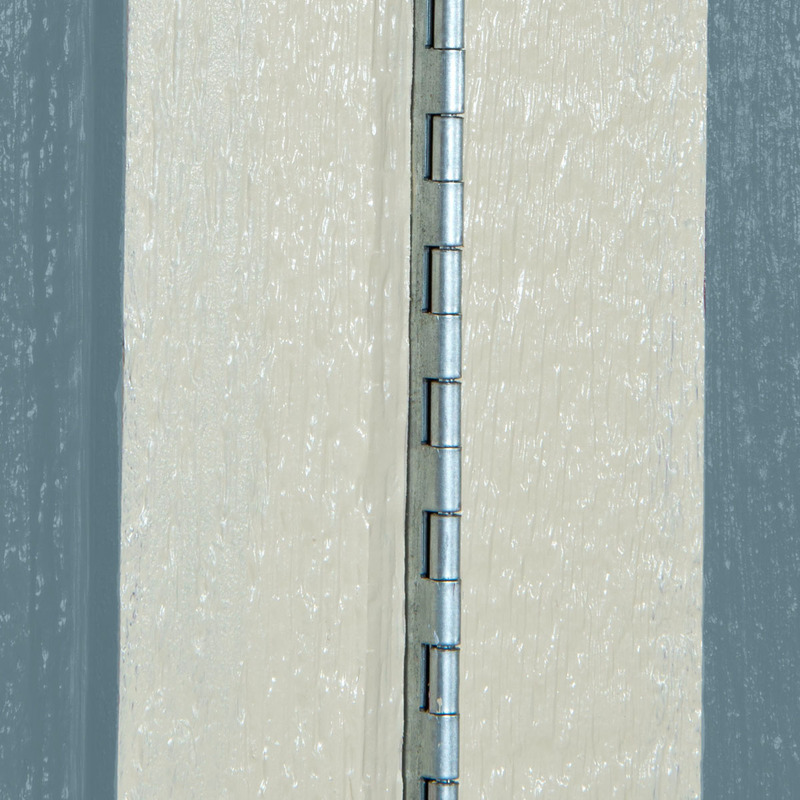 With 6' wall height, you can easily hang your long-handled tools like rakes and shovels, weed-eaters and trimmers. 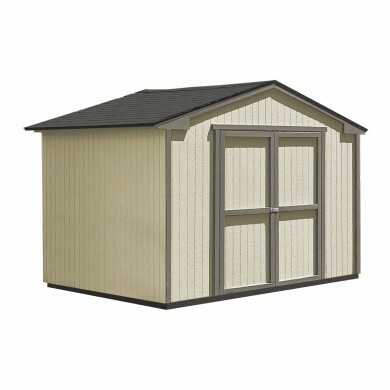 In fact, because of this shed’s barn-style design, you get a 10' peak height and even includes a loft – giving you 40% more space to stow your belongings, and leaving your floor open for heavier equipment or room to work. 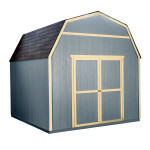 Of course, this barn shed features tons of world-class perks – from insect and weather-repellent LP® Siding to 25-year asphalt shingles, galvanized steel hinges to prevent door sagging, to a 2-year warranty with your best interest at heart. 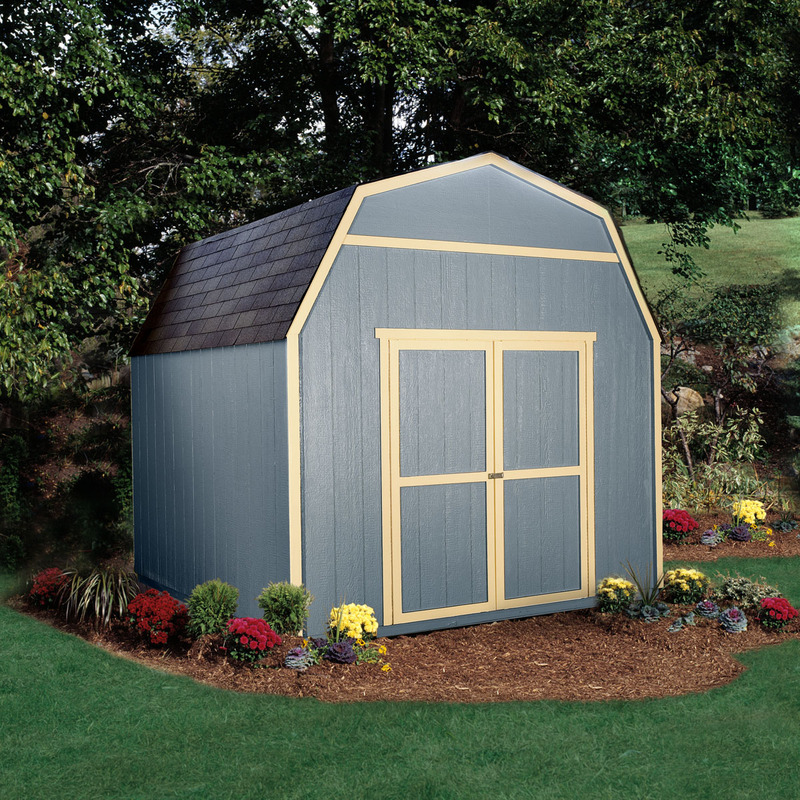 And the Verona 10x10 shed design is easy to customize – so you can get creative with all Backyard Building’s best add-ons; cupolas, flowerboxes, ramps, workbenches, shelves, and windows. Stow your cords of dry winter firewood, stash your best power tools and building equipment, or store all your family’s outdoor belongings – from bikes to soccer gear, skis to tractors. This 10x10 barn shed gives you all the space you need for yard and garden storage, to keep your gear and equipment safe and sound. Even better, it’s the ideal size for a convenient home office, man cave, music studio, yoga room, or study – simply customize with windows and skylights to let in all that rejuvenating sunshine; and you have a wonderful destination to get organized, recharge and stay ahead of that long to-do list. 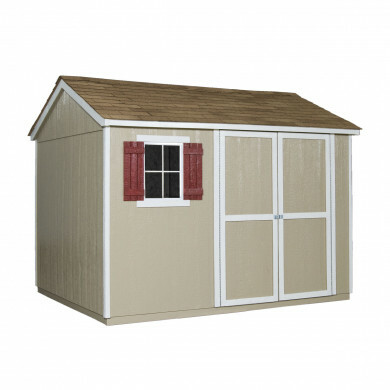 With it’s adorable loft and customizable features – this outstanding 10x10 shed is the choice for you. 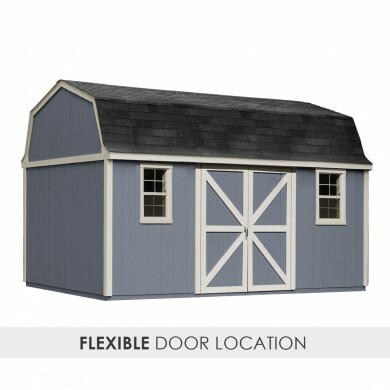 You get to customize your barn-style shed with all the accessories and details you want; creating the ideal backyard destination for you or your family, and making every day more convenient, productive, and stress-free. Scroll horizontally to see more. 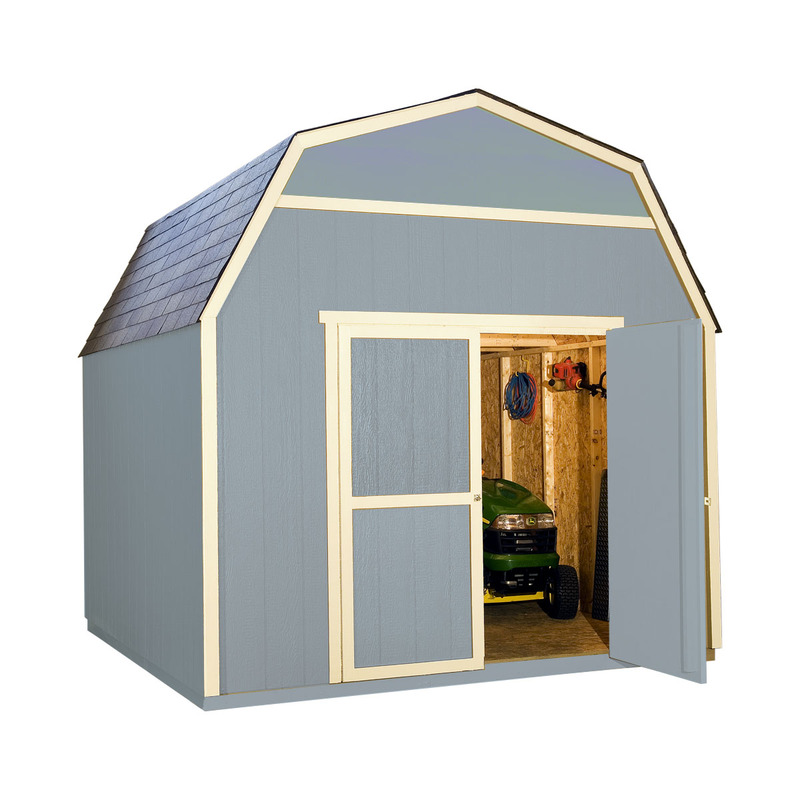 Actual Interior Dimensions (w x d) 120"x116.5"
Double Door Opening Width 64"
Double Door Opening Height 72"
We will contact you within three business days after purchase to schedule a tentative shed installation date. 3ft. 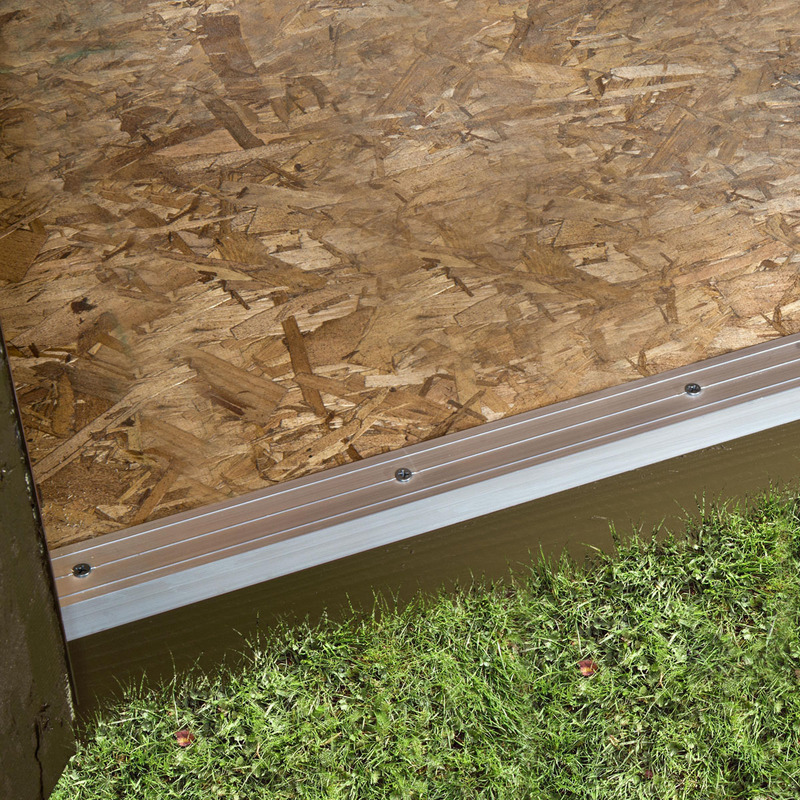 of clearance around your entire shed is required. 4ft. if larger than 160 sq. ft. Installation site needs to be cleared and prepared to within 6in. of level. 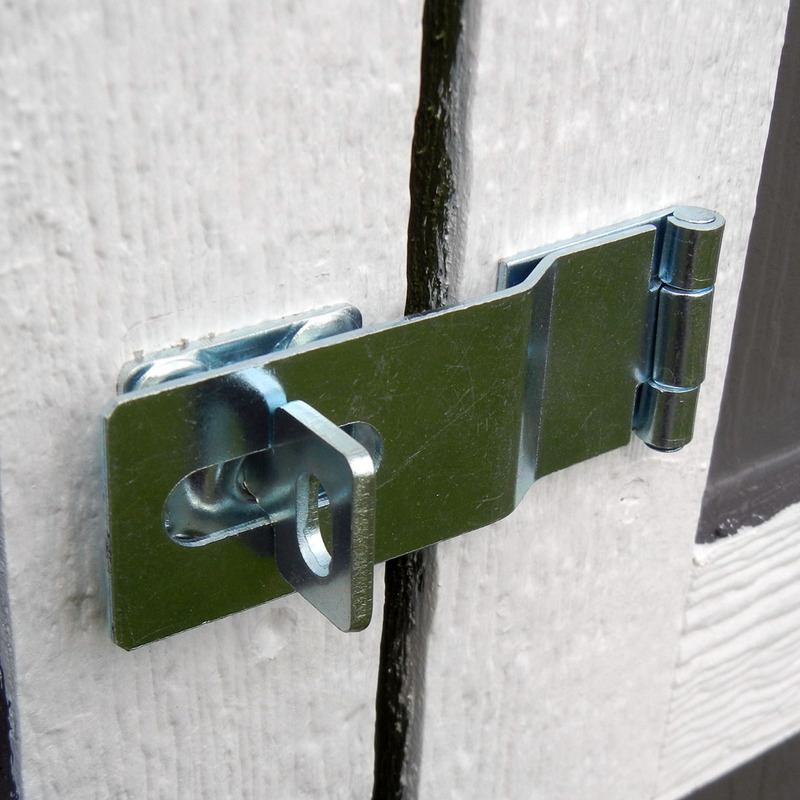 Check with your HOA for any local building code requirements prior to purchase. Access to electricity is required within 150ft. Prices do not include painting, optional accessories, permits, zoning, excavating, slab, set back advice, out of level or delivery beyond 50 miles. Painting is not included with purchase. 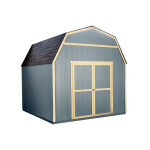 We advise to paint the exterior of our 10x10 sheds with a quality latex paint and caulk all critical joints. Our warranty requires that all exposed surfaces need to be painted within 30 days after installation. Shed turned out great. Weather caused them to reschedule install but nothing they could have done to prevent that and they were great at communicating this to me. Installer (older German fella) was extremely nice, on time, worked hard and didn’t waste time and was just very friendly and pleasant. Would definitely recommend to a friend. There were logistical issues with installation causing them to have to come back another day around my schedule; and did so without a fuss. Customer service and installation team did a very good job and I am very happy with the product and results. I've had this shed for about 1 1/2 years and really like it. The original install went smooth and as scheduled. The installers were very fast and finished it that day. The quality is excellent and is holding up well. Lots of room and the loft comes in handy for rarely used items. Very Pleased for the Process! I was very please with the entire ordering process, very helpful and friendly, and was extremely pleased with the installation. They arrived when stated and were very professional. No problems and no complaints. Thanks! If you need a simple yet effective 10X10 this is the one for you. 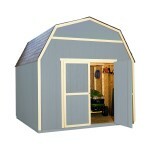 Solid construction and roominess to allow for storage of all my tools, including my riding mower. Great Job!!! Great product and installation! Thank you! After shopping multiple places, including the offerings from the retail home improvements, I'm extremely satisfied with the whole experience with Backyard Buildings, including the sales process, scheduling contacts, and the professional installer who came to build it. The shed fits my needs perfectly, and looks great. Thanks again! Don't waste your time or money. They sent an inexperienced team out; had never built one of these. They did okay putting it together. There are gaps that should not be there, it is not a nice, neat, clean build. I paid for 2 roof vents that were not installed and I have yet to hear back from the company. It's great to read something that's both enjoyable and provides prtdgaaismc solutions. You really found a way to make this whole preocss easier. We are really happy with our shed once it was installed. Lots of room with the loft and plenty of light comes inside with the skylight add-on and double doors.